When Pixibeauty package has arrived hubby, and I were in the middle of making plans for an early Valentine weekend because we couldn’t celebrate on the Valentine day itself. 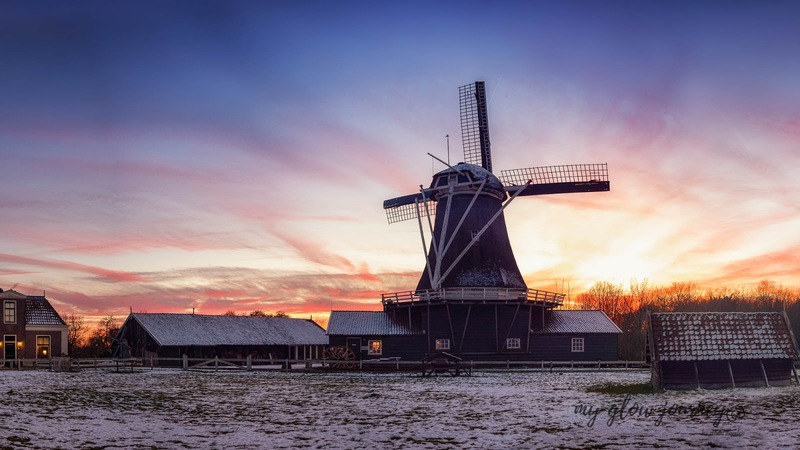 We chose Hampshire Hotel & Spa – Paping as our destination because of its beautiful view across the Ommen, a small town with so much nature and history! Honestly, I can't wait !!! I was talking about this on Instagram but not much on the blog, since the end of November last year I'm taking swimming lessons. I never learned how to swim as a kid, and later in life, I start to develop anxiety which prevented me from going in a pool even if I had one of these foam tubs that helps you float. It was cruel, I would sit in the sun literally being jealous of everyone who was in the water, wishing I was able to at least not have a panic attack when the water was waist high. I needed to stop the madness and enjoy vacations like everyone else. 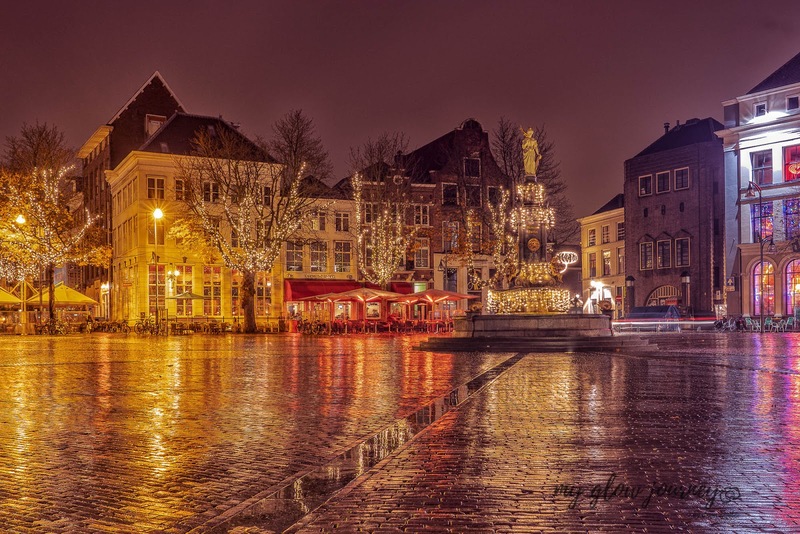 I'm happy to report that the swimming classes worked really good in my case, in just a few lessons the joy of swimming took over my fear and I began to swim a bit. If you guys want I can make a post about learning how to swim as adult but for now lets say at the end of November last year I was in total panic on even trying to swim in 1.30 m deep water, and today I am able to swim in 2 m deep water and most importantly enjoy it. Next step is 3.5m deep. So our spa weekend was also a celebration of my swimming accomplishment. I literally couldn’t wait to show hubby what I can do and enjoy a swim together for the first time. Woow it was like Christmas morning all over again, and for a moment I was really in doubt if I should open and play with everything or I should keep it and take it with me in the weekend break that way I could test it thoroughly. 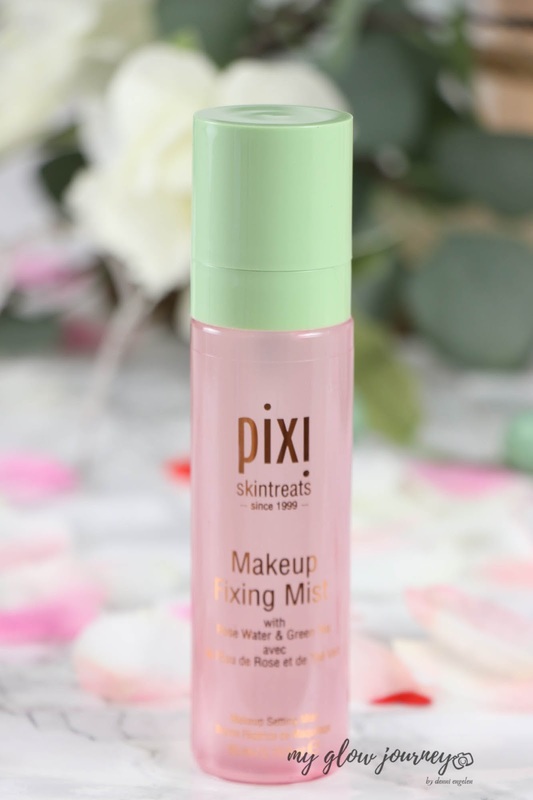 I went middle way, I did open and tested a few items, but I decided that a weekend of Pixi skin treats is a perfect idea. I personally don't use cleansing cloths, I am a balm and damp flannel kinda gal but these are so lovely and soft, and they do take off all makeup. I did need to use an eye makeup remover because my mascara was pretty stubborn. 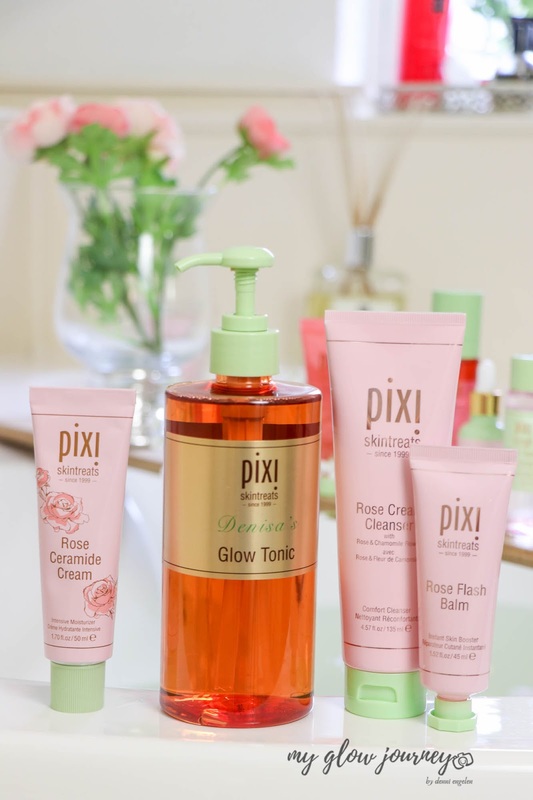 Pixibeauty Makeup Melting Cleansing Cloths are hydrating and soothing thanks to the chamomile & rose. One pack contains 10x Makeup Removing cloths. Perfect for travel. 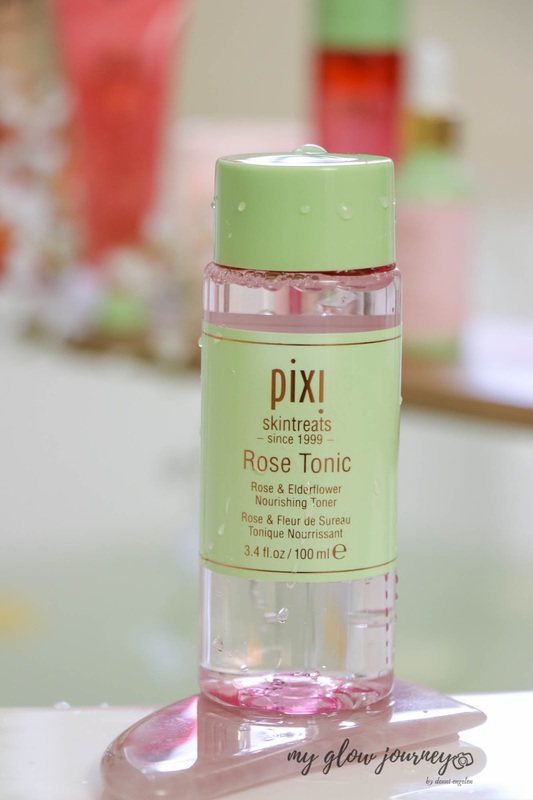 The only cleanser I tried from Pixibeauty is the famous Caroline Hirons double cleanse and that one has been a staple in my skincare routine. So naturally, I was super curious about the rose cream cleanser, and I'm happy to report that it did not disappoint. Its super creamy, soft and gentle. 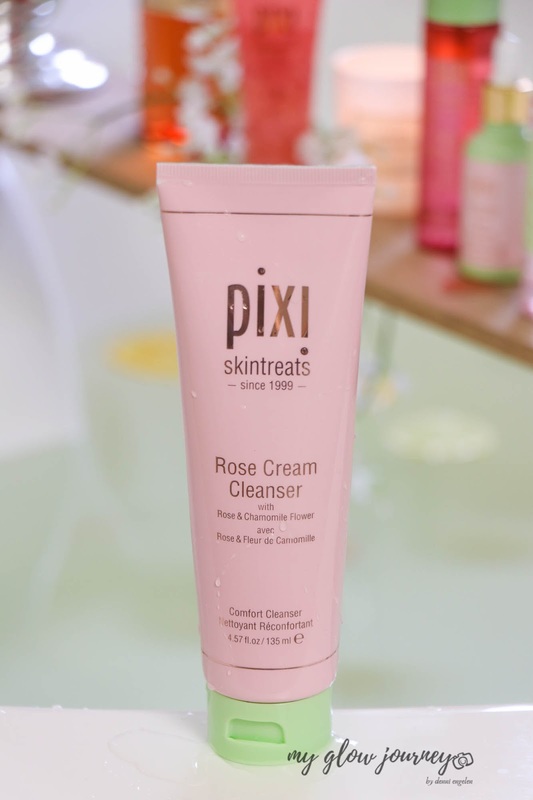 Enriched with rose, avocado, chamomile and aloe vera really the Rose Cream Cleanser nourishes the skin it helps strengthen and soften all in one single step. 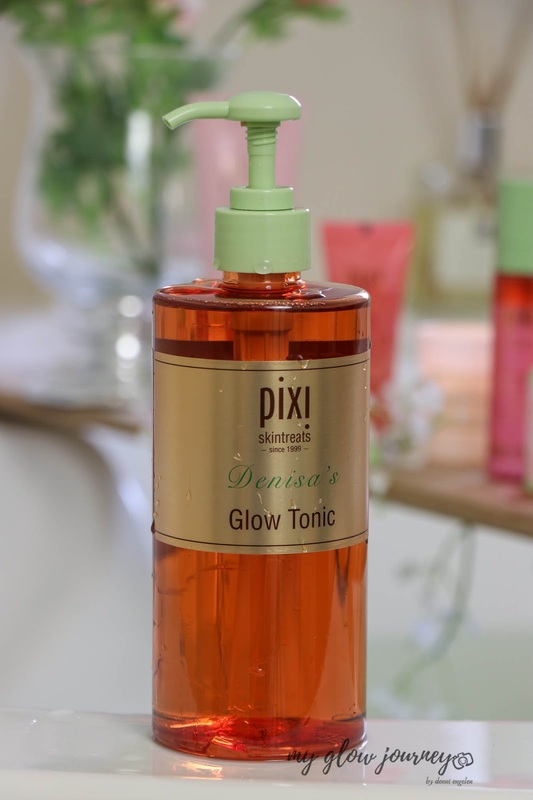 Pixi Beauty Glow Tonic it will always be my number one, but this Rose Tonic comes really close! It has elderflowers in it, smells super lovely, and it soothes, hydrates, replenishes and refreshes my skin. I will report back when this bottle is empty because I think this beauty is here to stay. 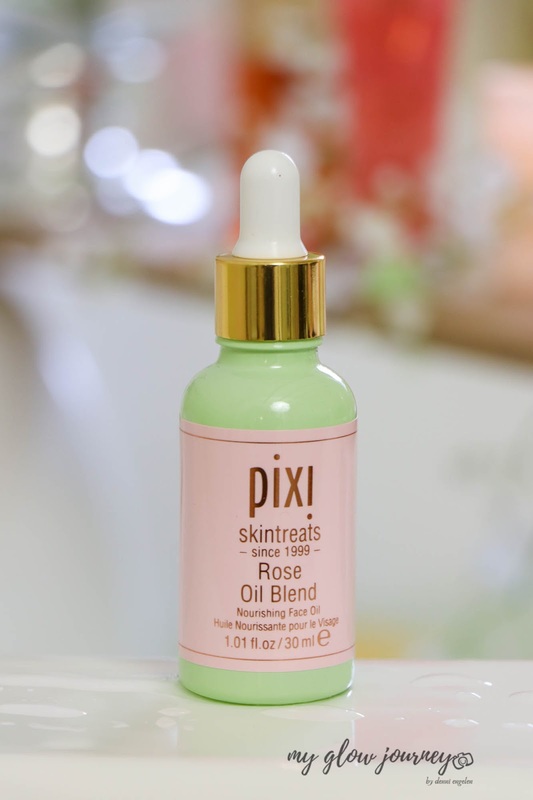 I love the name of it ...Rose Caviar... like everything else it smells incredible, and even though I'm, not one who goes for scented skincare, the formulation is the king because I never experienced any adverse skin reaction with Pixi skincare. 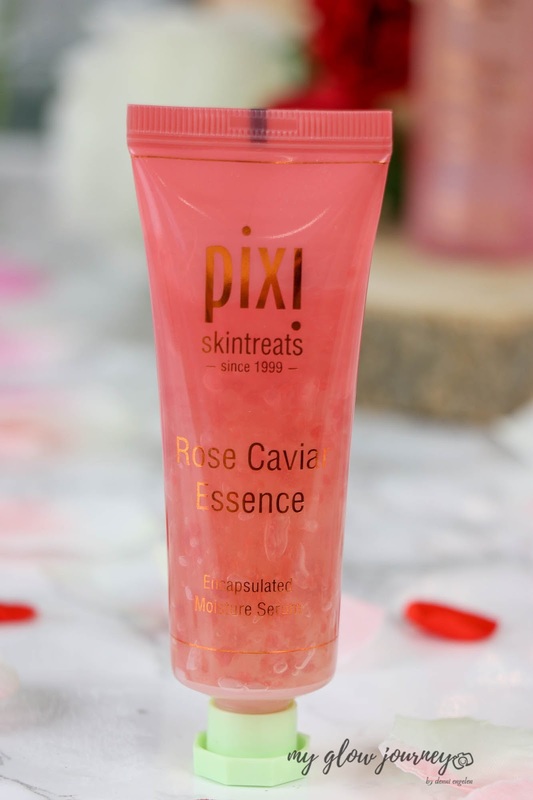 Rose Caviar Essence is a weightless gel serum contains grape seeds oil, anise and mulberry extracts, it has a cooling and soothing feel when applied on the skin, it gets absorbed fast without leaving any tackiness or greasy residue. This is an oil-free formula and is perfect for when you need a quick radiance boost. 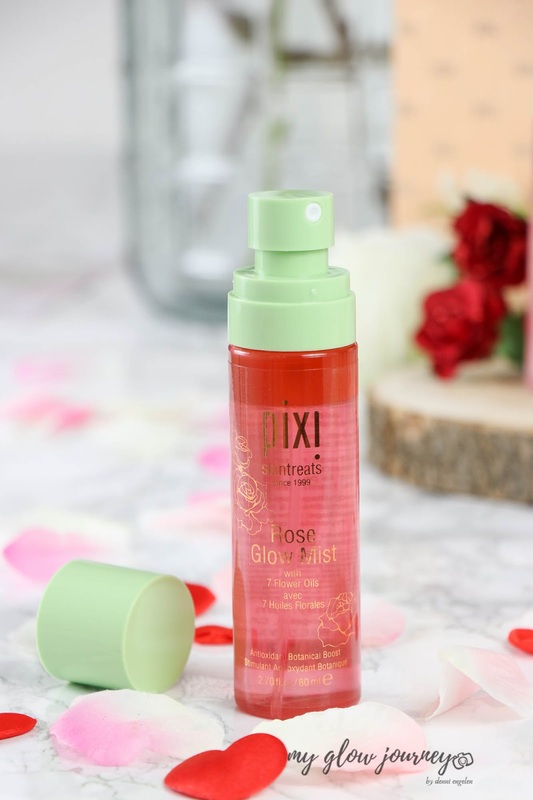 It is multitasking, and multifunctional can be used as a mask, or as a makeup primer, it contains rose water, rose extract and olive leaf extract. I have been using this mask twice a day for the past 3 days and its the loveliest. 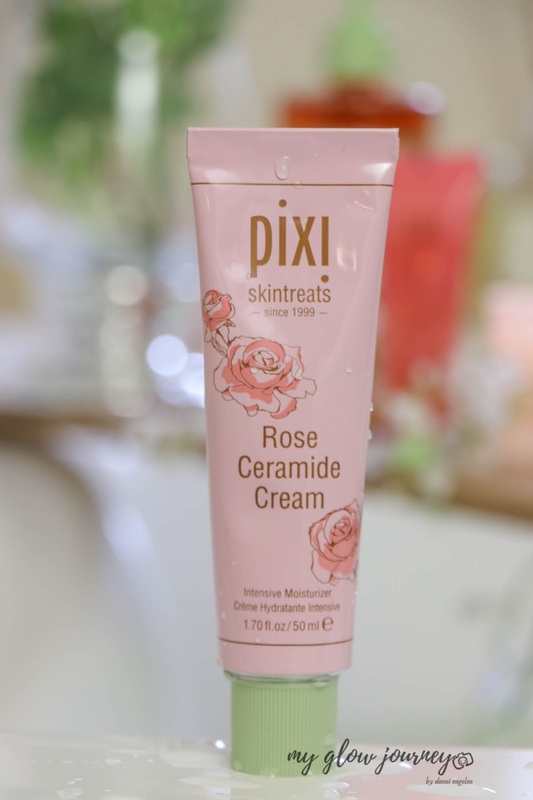 Intense moisturiser, the rose ceramide cream is infused with glycerin, ceramides, rose and rosemary oil. 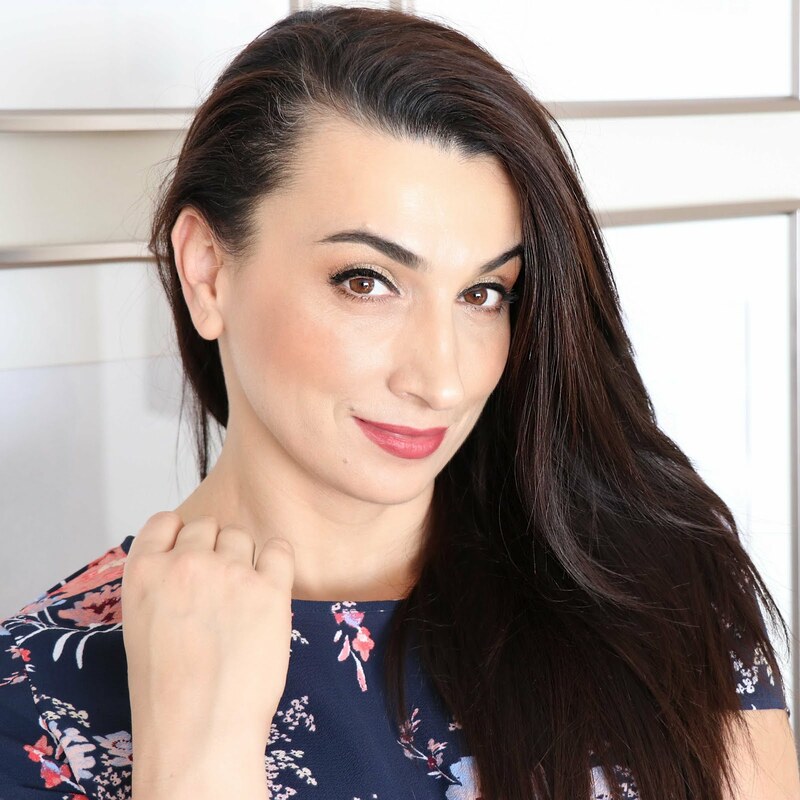 My winter skin loves it, and so does my skincare freak brain! Is packed with antioxidants to help fortify skin and protect against free-radicals, the ceramides provide time-release moisture, and the probiotics protect and balances. Gorgeous well thought formula that will lock in the moisture while helping with the skin’s elasticity and protecting the skin from environmental toxins. Sweet almond, rosehip, jojoba, pomegranate seed, and rose geranium oils blended to perfection to nourish and helps the skin stay youthful. 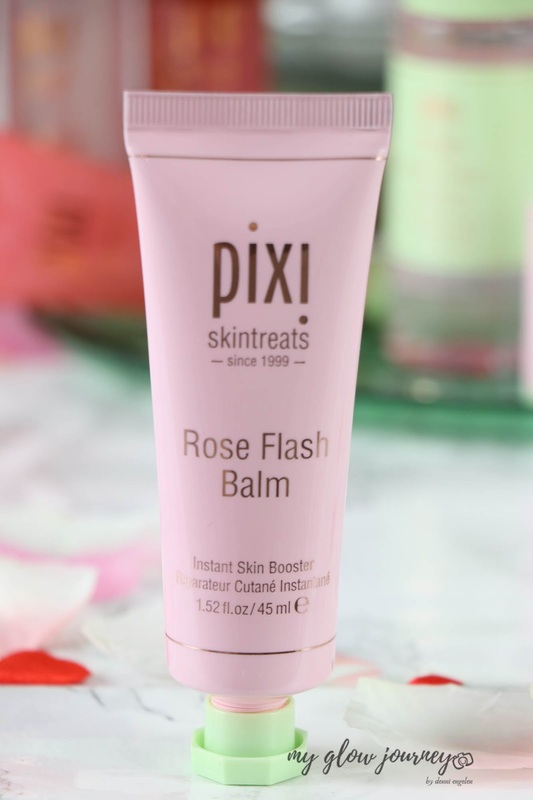 On my dry skin, the rose oil blend adds an extra layer of protection, locks in moisture, rejuvenates and helps with elasticity. 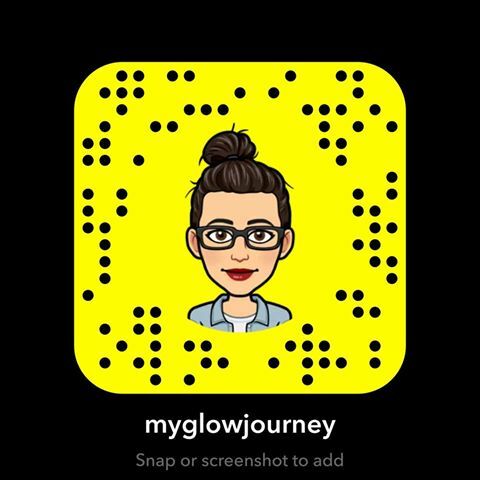 I look so luminous and plump when im using it.